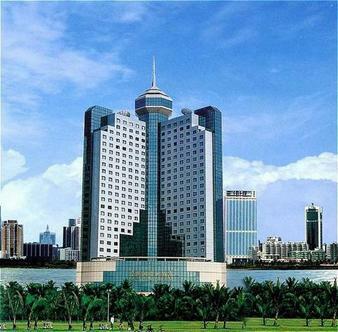 Baohua Harbour View hotel is a 4-star hotel in the province Hainan. The prime geographical location of the hotel offers a gorgeous view of the sea. The guests may enjoy the handy commercial facilities in combination with the gracious service provided by the hotel. Its performance principles are hearty devotion, mutual benefit, enterprising innovation and acme of perfection. The high quality sea-view rooms are highly esteemed by the guests. They are all equipped with bathroom, colour TV, direct dial telephone, safe deposit box, Internet access, desk, minibar and hairdryer. The Baohua Harbour View hotel features a restaurant, a bar as well as billiard and bowling.On-site are a gift shop, a flower shop and a beauty salon.There is a business centre and meeting facilities are available.The hotels services include room service, babysitting and laundry service.Free internet access at all rooms.